3D-PT has been 3D printing for three (3) years now, and after attending many conferences and events, I have compiled the most common 3D printing questions I have been asked. 1. What can you 3D print? With 3d printing (additive manufacturing), the better question is “What CAN’T you print.” The only real limitations are the size of your 3D printer and your budget. Whole homes, rocket engines, and medical devices have been printed already, and the potential for 3d printing is expanding all the time. 2. I saw on TV some kid get a hand made for them, can you do that? 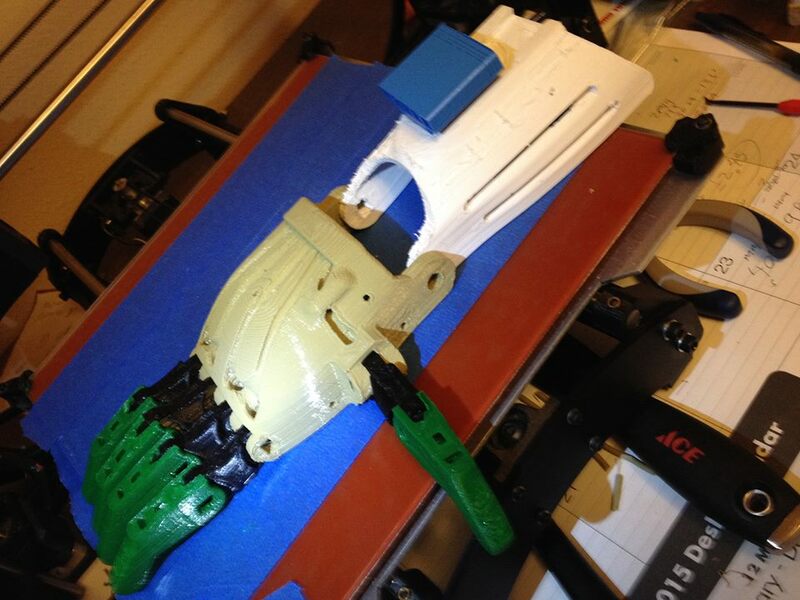 Anyone can go to enable, Open Bionics , or Field Ready to download the files and 3D print them for a child in need. It is a fun project to 3D print a hand. An adult size hand takes about a week for one printer to crank out, and cost ~$50.00 for materials. 3d printed raptor hand from enable. Photo by author. 3. Is 3D printing expensive? This 3d printing question is common for beginners. The cost of good quality desktop printers are going down as the technology is expanding. For $200 – $1,000 you can get a good desktop printer that can meet all your household needs. If you want specialized materials like metal or certain plastics, you may have to use an outside service to print those. 4. How much does a print cost? If you print your own items, the main factor is the cost of the materials. PLA filament is my general material, and that cost about $0.10 – $0.20 a gram. This puts a hand sized print at about $0.50 – $1.00 for materials. Electricity and consumables generally add about $0.05 a print. Overall the material and printing cost for any item can be very low. 5. Can you make a business doing this? Yes, there already are small shops that 3D print on demand, as well as 3D printing services. These will be more expensive to print, but many printing services can print batch orders or print in specialized materials. 6. What is the initial investment cost to get into 3D printing as a hobby? Another common 3d printing question is the cost. The printer will be your largest investment. A good quality printer will start at $500, and PLA filament at $40 a kg. 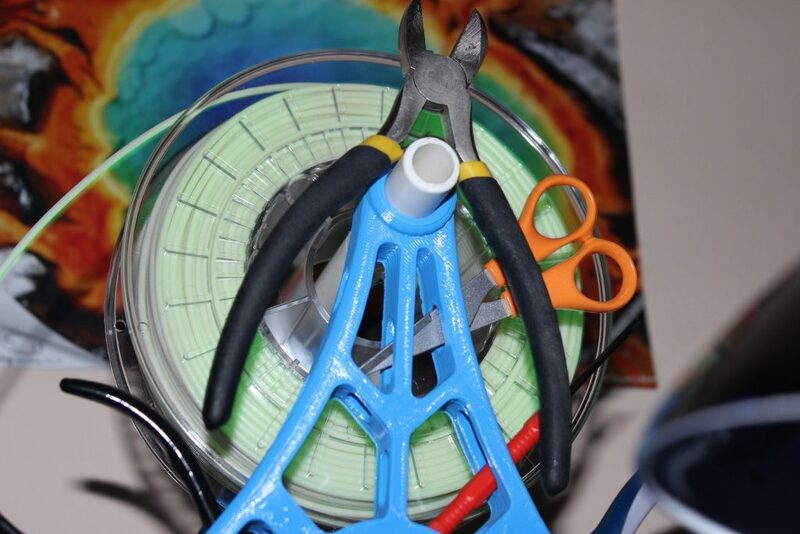 Many 3D printers come with their own tool kit, but if you scrounge around your own garage you can find many of the same tools that you’ll find in your kit. I’d start printing with PLA until you are comfortable with your printer, then you can experiment with different materials. 7. Can you 3D print a house? With a desktop printer I can print a model of your house. However, there are 3D printers in development and testing now that can 3D print whole homes in place. This is called contour crafting, and in the future affordable homes may be printed on site. 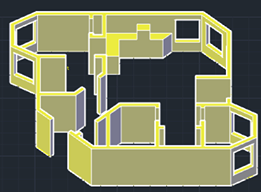 CAD design for 3d printable home. Screen capture by Author. 8. What else can be 3D printed besides toys? 3D printing is used in aerospace, automotive and industrial sectors right now. Private space companies like SpaceX has approved 3D printed rocket motors preparing for launch in space. Airbus has approved 3D printed parts in the cabins and engines of their airliners. As the technology and materials develop, 3D printed items will be found in more commercial applications. 9. What are the limits of 3D printing? The main limits right now is the technical education. While engineers have been using 3D printing for decades, the public is just now seeing wide ranging exposure to 3D printing. Many don’t understand that they can use a free CAD program to design their own 3D printable items. There is also a public perception that 3D printing is useful only for toys. With some publicity, 3d printing can be seen as a application for multiple industrial fields. 10. 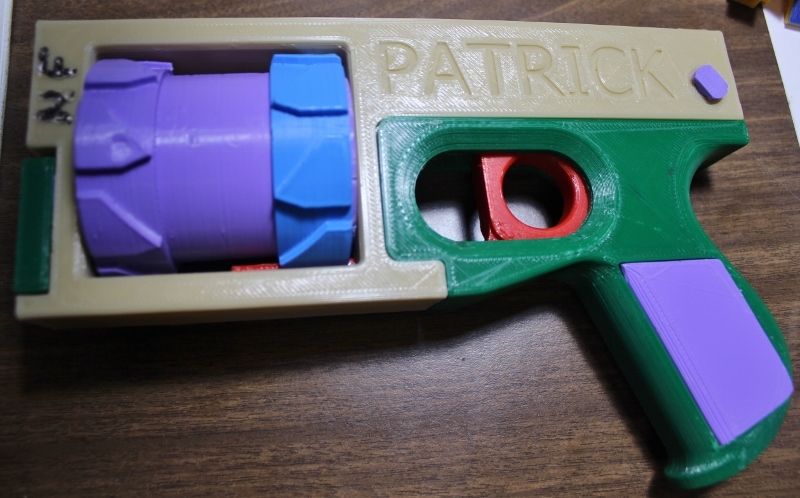 Can you 3D print a gun? It’s scary that anyone can print a gun. This is the most common question I get. In the USA it is legal to print your own gun, but you can’t sell it without a FFL license. In reality the guns take a lot of time to 3D print and are not something a criminal would use. It should also be pointed out that no one has committed a crime with a 3D printed gun. 3D guns are more an engineering challenge than a practical firearm. The issues surrounding 3D guns are intertwined with free speech and digital freedom.